This week we remain in Brazil to see one of the most famous monuments and the biggest Christ statue in the world, now in 3D thanks to Pix4D. Pix4D, together with Aeryon Labs Inc. and PUC University of Rio de Janeiro reconstructed the first accurate 3D model of Brazil’s most important monument, the Christ the Redeemer statue of Rio de Janeiro. Using the Aeryon Scout UAV for data acquisition and Pix4D’s image processing software for the 3D reconstruction, the project team faced many challenges to get high-resolution results of the statue that lays in a complex surrounding area. The Christ the Redeemer statue is Brazil’s most important monument and cultural icon, created by Polish-French sculptor Paul Landowski and built by the Brazilian engineer Heitor da Silva Costa, in collaboration with the French engineer Albert Caquot. Located on a narrow terrace atop of the 700 meter high Corcovado mountain, the Christ statue towers over the city of Rio de Janeiro with its 38 meters of height and 28 meters of arm span. The entire statue took 9 years to construct from 1922 to 1931. Accurate 3D reconstruction of the statue has not been possible until today since technologies such as LiDAR have not been able to scan the complete statue due to its size, location, difficult access and challenging weather conditions. Until today, all existing 3D models and replicas of the statue have been designed by hand. The NEXT lab of PUC University in Rio de Janeiro contacted Pix4D to determine if a 3D reconstruction could be achieved using both image processing technology and Unmanned Aerial Vehicles (UAVs) for data acquisition. Pix4D took on the challenge, in collaboration with the Canadian UAV manufacturer Aeryon Labs Inc. for the data acquisition and PUC’s NEXT Lab for the organization of all project logistics, including special permission to fly UAVs at the Christ the Redeemer heritage site. Safe operation for both visitors and the statue itself was the most important aspect of this project, and the reason why Aeryon Labs Inc and their highly reliable and enduring quad rotor aerial platforms were chosen as the UAV partner for this project. Data was acquired on site with the Aeryon Scout and an integrated camera payload in late October during 6 consecutive days in the early morning, before visitors entered the site. The main challenges for the data acquisition were the changing weather and wind conditions, restricted hours for data acquisition (flights could only take place before and after visiting hours), inconsistent lighting conditions and shadows in early morning and late afternoon resulting in the inhomogeneous color balancing of imagery. A total of 3’584 images were acquired during 19 flights that lasted 10 minutes each. 2’090 images were used for the reconstruction with Pix4Dmapper Pro desktop software. The project was cut into three main projects (statue, base and surrounding area) and nine-sub-projects. As images were captured at various angles and not all of them contained accurate geotags due to signal reflectance, all sub-projects were processed without geotags. 82 manual tie points were added to merge all sub-projects and Pix4Dmapper’s point editing tools and annotating feature were used to crop out the unwanted parts and background points such as the sky. Finally, a linear measurement, taken on-site by the project team, was used to provide the correct scale to the final result. The head section of the statue provides the most detailed view of the tiny triangular mosaic pieces of the statue. 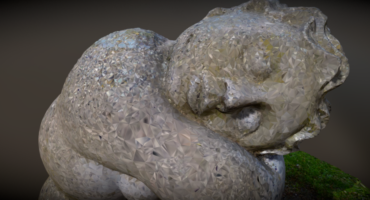 The final 3D model, available both as a point cloud of 134.4 million points (97.6 million for the statue, 30.7 million for the terrace and 6.1 million for the surroundings) and as a full 3D textured mesh of 2.5 million triangles with a texture of 16384 x 16384, was shared with PUC University and will be used for upcoming projects that PUC will present in the near future. 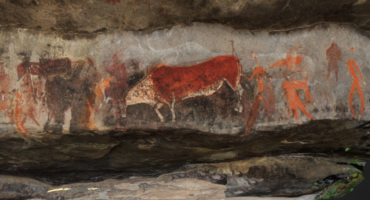 For more information of the project, check out our white paper which describes in detail how the images were processed, how the project was done, and what difficulties we have faced here. Founded in 2011 after more than ten years of leading scientific research, Pix4D has become the main provider and industry standard for professional drone photogrammetry software. Started as a spin-off of EPFL in Switzerland, Pix4D is a dynamic and rapidly expanding company with headquarters in Lausanne and local offices in San Francisco and Shanghai. 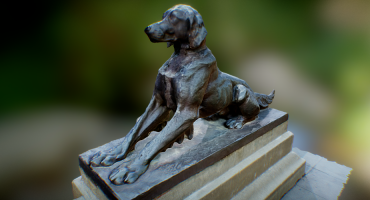 To see more of Pix4D’s models here on Sketchfab, check out their profile!